A clean and matte oil control UV protection cream with a special sunflower formulation. 100% mineral filter gently takes care of your skin, and porous powder prevents your skin from getting greasy with sweat to ensure a clear, matte finish. Portulaca oleracea and centella asiatica extracts soothe your skin that has been exposed to UV rays and other harmful environmental conditions and offer a strong astringent effect. 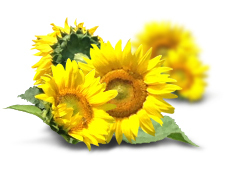 Key Ingredients: Sunflower oil in innisfree sunblock keeps your skin healthy and safe from UV rays. TO USE: At the last stage of your skincare routine, evenly apply onto easily exposed areas of face. Innisfree is the first nature brand from South Korea, in constant pursuit of eco-friendly practices to preserve the balance of nature. They use only pure ingredients in their products and use eco-friendly containers for packaging. Innisfree strives to bring more happiness to people around the world through harmonising natural beauty products with the environment as can be seen from their extensive Eco-friendly activities. They also donate 1% of annual profits to eco-friendly causes.